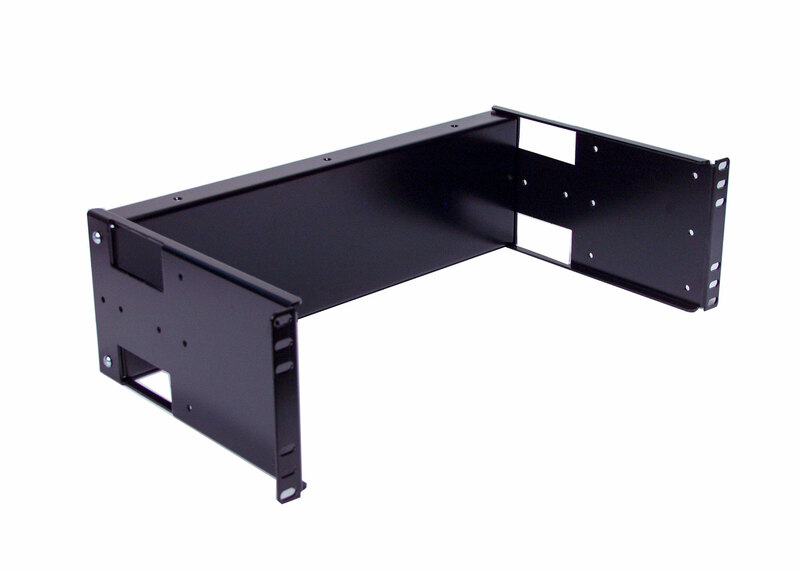 IRP10325S 3U Rackmount Depth Adjustable Solid Panel. The most difficult part of custom mounting your equipment in an enclosure is drilling precision mounting holes. Unless you have a large CNC machine at your disposal, you will have to drill holes manually with a hand held drill. It is a time consuming and error-prone process. With our solid panel design, you can reduce your drilling time and mistakes. 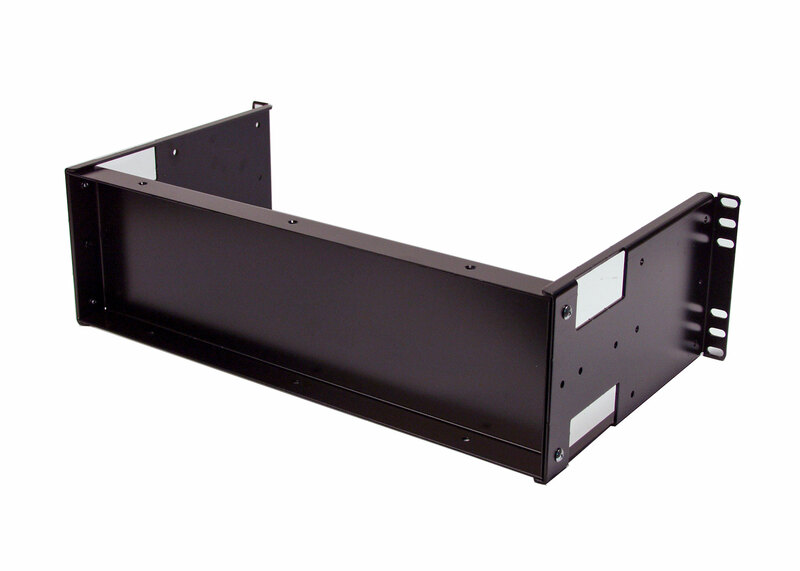 One of the advantage for using our adjustable depth solid panel is the rackmount ear brackets are detachable. This makes drilling holes on a drill press table a lot simpler. You can easily moves panel on the drill press. In addition, we can provide CAD drawing file for our panels. By overlay the 1 to 1 scale printout on top of the panel, Voilà, all of the mounting holes are labeled and ready for drilling. Even if you made a mistake, you can get a new replacement panel instead of a getting a complete new enclosure. This method is faster and more cost effective way for prototyping your design. Our adjustable depth design gives you the options to mount the solid panel recessed, centered or flushed mount position. You can add additional panel to maximize installation space. Our adjustable panels are fully compatible with our filler panel (RCB1090). Our filler panels can be use as cover, or as custom build instrumentation panel. Check out our application note for more design ideas. 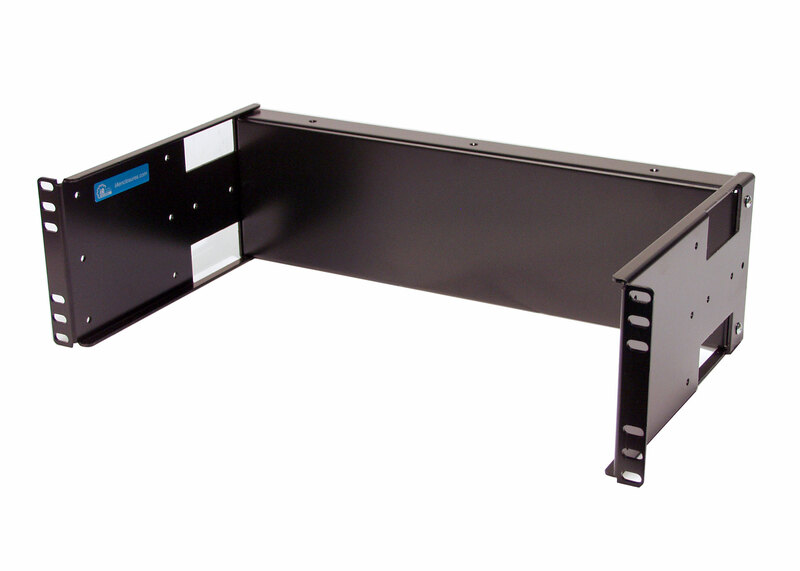 Fully compatible with standard EIA-310 19" server racks 2 post and 4 post version. Large rectangle cable access ports on both right and left side for easy cable routing. Three mounting position. Recessed, Centered, or Flushed mount. Data Cable Access ports Large rectangle cable access holes on both the right and left side. Mounting Hardware Included (4) #10-32, (4) #12-24 rack screws, (6) M4 screws. Max Load Load Capacity for panel 150LB Max.